HomeMay 2015Where do you, or will you, push? 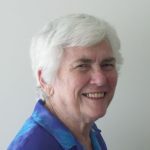 Good Samaritan Sister Mary McDonald echoes the advice of Benedictine Sister Joan Chittister: “To change a policy or practice, join a group that is committed to the same issue. Then, with everyone else, push”. After 1,300 people seeking asylum in Italy drowned in the Mediterranean Sea last month, Australian Prime Minister Tony Abbott told European leaders to learn a lesson from us and simply “stop the boats”. While the PM did say the loss of life was a “terrible, terrible tragedy”, he added, “The only way you can stop the deaths is to stop the people smuggling trade. The only way you can stop the deaths is, in fact, to stop the boats”. Moreover, this tough stance has helped our budget bottom line. The figures for the 2015 Federal budget show a $500 million saving from the closure of immigration detention centres and the halt in the arrival of asylum seeker boats. The government claims a $3 billion saving from 2013 into the forward estimates. Those are the reported savings, but at what cost? Hunger strikes, attempted suicides, and the shocking revelation of 128 actual self-harm incidents amongst children have taken place in detention centres. So what is the future for these people? The government’s solution is to pay the Cambodian government $40 million to resettle 1,000 refugees and so remove asylum seekers from Australian responsibility. Resettlement should begin soon. However, detainees are reluctant to go. Under the agreement signed last year, refugees can only be sent from Nauru to Cambodia on a voluntary basis, with the number of refugees to be determined by Cambodia. Individuals and agencies in Australia and overseas have voiced their concerns and opposition to this policy. In particular, the United Nations Children’s Fund says Australia is violating the rights of children under the refugee transfer agreement. The Refugee Council of Australia has accused the Federal government of effectively bullying a poorer neighbour into accepting aid in exchange for refugees who will struggle to re-establish themselves. It is against the spirit of the way in which international refugee protection and refugee resettlement works. Immigration Minister Peter Dutton has strongly defended the deal with Cambodia, arguing that refugee resettlement is not an economic migration program. He has described Cambodia as a vibrant country with a strong economy. That was not my impression or recollection from my two experiences in Cambodia. Cambodia recently marked the fortieth anniversary since the fall of Phnom Penh to the Khmer Rouge, beginning a reign of terror. During this time, schools and universities were closed; skilled workers, professionals, lecturers and teachers were executed. About two million Cambodians, nearly a quarter of the country’s then population, were murdered. The human and economic impact of this devastation is still being felt and largely borne by the lower socio-economic sectors of society. In 2007, as Chair of the Brisbane Catholic Education Council, I went with a delegation of academics to Norton University in Phnom Penh. It was the first private university to be opened after Pol Pot’s regime ended. During my visit, I accompanied aid workers to remote villages and poor urban settlements. We saw projects, such as irrigation channels and wells, and adult literacy initiatives. We also visited a number of schools where aid workers delivered a kilogram of rice per child each week. One of those workers told us her whole family – her parents, three brothers and sister – were executed in the “killing fields”. In 2012 I was invited back to Cambodia as part of an Australian delegation for the twentieth anniversary of the founding of Norton University and to attend, as their guest, the Asian University Presidents Forum. We spent a lot of time on campus meeting staff and students. We visited the campus of Developing Cambodia by Degrees, which offers practical courses similar to Australian TAFE colleges. Again we visited schools and were taken to surrounding districts. But in the five years since my first visit, I saw no noticeable difference in the living conditions and employment opportunities for Cambodians. With the psalmist we cry out: “When the world falls apart, what do the good hope to do?” (Psalm 11). Benedictine Sister Joan Chittister offers this advice: “To change a policy or practice, join a group that is committed to the same issue. Then, with everyone else, push”. British academic Karen Anderson decided to do just that. In 2008 she applied for the $100,000 TED Prize, awarded annually “to an individual with a creative, bold vision to spark global change”. Karen stated passionately that the source of true compassion is your own heart. She urged people to become compassionate, to feel for others and so help them overcome their problems. Karen said that compassion lies at the heart of all religious, ethical and spiritual traditions. The parable of the Good Samaritan, which challenges us to ask “who is my neighbour?” and respond with the compassion of the generous Samaritan traveller, is just one example from those traditions. Karen’s winning entry allowed her to start a global movement that would be guided by a Compassion Charter. This Charter was written by a Council of Conscience – a multi-faith, multi-national group of people representing Confucianism, Judaism, Christianity, Islam, Buddhism and Hinduism – who also received input from thousands of people through an online platform. Launched in 2009, the Charter has been translated into 30-plus languages and affirmed by tens of thousands of people. By 2014, over 400 organisations had signed on as partners. The vision of the Charter is for “a world where everyone is committed to living by the principle of compassion”. Signing the Compassion Charter is one step to making a better world, but as Joan Chittister says, we also need “to push”. Some of the ways I “push” are through conversations, by adding my signature to petitions, and by writing letters to politicians. Of late I’ve been saying that people have a right to seek asylum in Australia regardless of how they travel; that they have a right to earn an income, to healthcare or settlement services; and that we shouldn’t off-load our refugee responsibility to countries like Cambodia. So with the compassion and generosity of the Samaritan traveller, where do you, or will you, “push”? Good Samaritan Sister Mary McDonald has had a long involvement in and commitment to education, the environment and social justice issues. She holds degrees in arts, education, environmental education and theology. Mary lives in Brisbane where amongst other things, she gardens, plays croquet and tutors at TAFE in ESL (English as a Second Language).